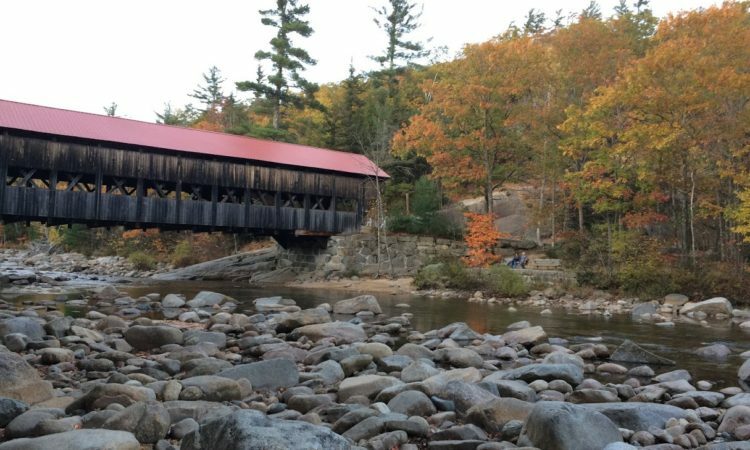 It was a little late in the year but we decided to take a leaf peeping road trip the weekend of October 21, 2017. We had heard that it was past peak season in the White Mountains so we headed for the New Hampshire Lakes District. We made our way to Weirs Beach on Lake Winnipesaukee. I felt the colors were slightly before peak as there was still a lot of green but there was definitely some nice patches. Endicott Rock Park offered some nice shots as well. We continued along the lake shore past the Mount Major trail head. Although we did not do the trail this year this is one of the best places to take in the fall scenery. The 2-4 hour moderate hike offers spectacular views in all seasons but most especially during peak foliage. The trail head was packed with cars lining both sides of the road on this beautiful autumn afternoon without a cloud in the sky. There is a corn maze and working farm with tractor rides and demonstrations right of the highway. A bit crowded on the weekend but still fun with some nice scenery of the farm and surrounding hills. Alton Bay needed another week to be the best. It was quite late but we decided to check out the Kancamagus Highway to see if there was any remnants of foliage left. As we ascended the mountains most of the leaves at higher elevation were well past peak. There was some color left in the valleys and on south facing slopes but it was not the best. We pushed on hoping that the Albany Covered Bridge at the end of the highway would still have some color. We were richly rewarded as the colors around the bridge were still peak.